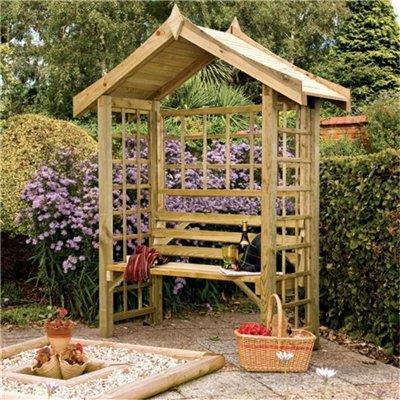 The Wistow Arbour is a stylish design with intricate detail. 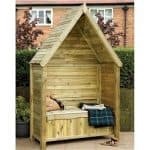 It comes with a gently pointed roof ideal for shade on a summer’s day and the slatted bench is comfortable seating. 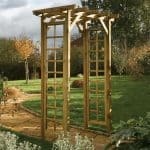 To the sides and back there are panels of trellis ideal for trailing plants. 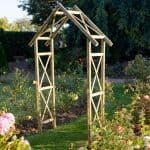 It is constructed from pressure treated timber in a pale green hue which is maintenance free so will last for years. 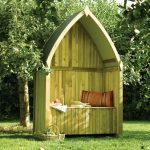 This is bound to turn a few heads in your garden. The only bad thing is that this isn’t painted. That could be a good thing in a way because each person’s yard has a different theme or color going on. For example, I am painting mine white and going to have some roses all around. It is going to look beautiful when I am done with it. The price was good enough for me. 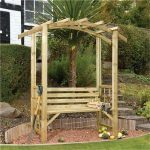 I have always wanted an arbour so I invested in this one really quick. It is so beautiful and so peaceful to sit outside on it at night with my husband.